ESL Certified is the partner of choice for EFL instructors seeking life-changing work in Vietnam. We can guide you through the application process and support you every step of the way. Before going through the nuts and bolts of applying, let us tell you a little more about Vietnam and the unique teaching opportunities it has to offer. Click to see FAQs about Vietnam, to learn how to apply, or here to apply now. Vietnam is a country extremely rich in history and conflict, having been through many wars throughout its troublesome past. The most recent and the most controversial of all, was the Vietnam - American War, officially ending in 1975. Today, the only thing that remains of the past is scattered through the cities in the memories of the older citizens, and in the form of lone monuments and museums, with Vietnam slowly transforming into an economically strong, internationally driven, prosperous country. The newly introduced capitalistic economy of Vietnam is rapidly expanding year after year, and has turned the country into the strongest economic force of the entire region. The two most populated regions of Vietnam – the metropolitan areas of the two largest cities, Ho Chi Minh and Hanoi – are considered the backbone of the economic system, and have seen extensive growth in the past decade. Hanoi is the capital of Vietnam, commonly mistaken by Ho Chi Minh City (formerly called Saigon), which is the largest. Modern, elite skyscrapers are going up everywhere amidst the sea of low, poorly built residential shacks, symbolizing the recuperation and growth of the country’s economy. As a foreigner, you might find south Asian countries intimidating at first. For a while, you may find them oppressively hot, humid, loud, and busy. Nevertheless, it only takes a short time, and you will soon learn to love everything that Vietnam encompasses and brings. The beaches, the sun, the blue, warm waters, the romance of an Asian country and the beauty of its people. Just be careful when crossing the street, as traffic in Vietnam has been reported as the most dangerous and reckless in the world. It may sound like a nuisance and a problem if you plan to drive, yet it is one of those things that add the amazing, romantic charm to Vietnam. You will find Vietnamese people to be very open, welcoming, and relaxed. They have a great attitude towards foreigners, and the younger generations largely gravitate towards the western way of life. 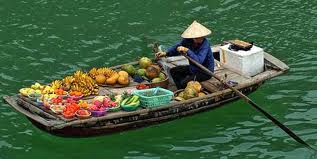 Even though everything may look hurried and stressful, the Vietnamese are actually an extremely laid-back people. You will find them lounging after lunch, after dinner, and after anything that may warrant a rest – they are far from lazy, merely prone to relaxation. Around 91% of Vietnamese people are literate, thanks to an extensive educational system spreading throughout the whole country. Even though it is not free, the country of Vietnam still has one of the highest rates of school enrollment in the world. The government is currently in the process of restructuring the country’s educational system in order to follow an advanced, Western structure. As with all points of formal education, the subject of languages has received a major overhaul. French has long been taught in Vietnam because of Indochina’s colonial efforts. Nowadays, since it has not been used for a long time, the government decided it should be replaced with a more useful language – English – thereby creating a ever-increasing need for quality English teachers. Interested in teaching English in Vietnam, follow these easy steps: Click here to learn how to apply. 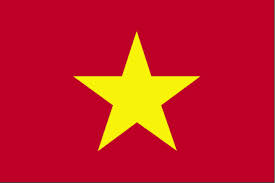 In order to teach in Vietnam you will need to have a visa and a work permit. However, your employer will be the ones to obtain both the visa and permit on your behalf.